· Orders are typically dispatched within 10 days from the date the order was placed. Please allow additional shipment time for orders placed outside of Australia. Using International Pack and Track postage option can take up to 3 weeks. · The alternate currency values are indicative only and may not reflect the exact currency exchange rate available on the day of purchase. · Your order will be charged in Australian Dollars at the displayed amount. · The Australian GST is included in the displayed price. The GST is charged to Australian customers only and will remain included, but displayed separately for your convenience at checkout based on your shipping location. · Tiaras 4 Dance strives to ensure that the colours displayed on the website match exactly to the shipped product. From time to time beads may become unavailable or discontinued and in this circumstance, alternatives will be used in the headpiece that as closely as possible resemble the displayed headpiece. · Online credit card facilities are available through ANZ E-Gate Secure Facilities. For Australian customers only a direct deposit facility is also available. If other payment methods are required please use the Contact Us link on the website to make alternate arrangements. · Once the order has been accepted you will receive both email and SMS confirmation. · The order will only be shipped once funds are cleared. · The order process on the Tiaras 4 Dance website is fully secure. All order and payment details are encrypted prior to sending and transferred across an SSL. We do not store any financial information. All financial details are deleted automatically once the transfer of funds is complete. · Tiaras 4 Dance does not charge a fee for packaging and handling. · Shipping costs are automatically calculated based on the total weight and/or cubic measurement of the packaged goods. · Shipments within Australia are sent via Australia Post using Registered Post and Express. · Shipments outside Australia are sent via Australia Post Air Mail Pack & Track and Australia Post International Express. Please contact us if you have any questions regarding our shipment options. · Once the headpiece(s) has been shipped you will receive both email and SMS confirmation. 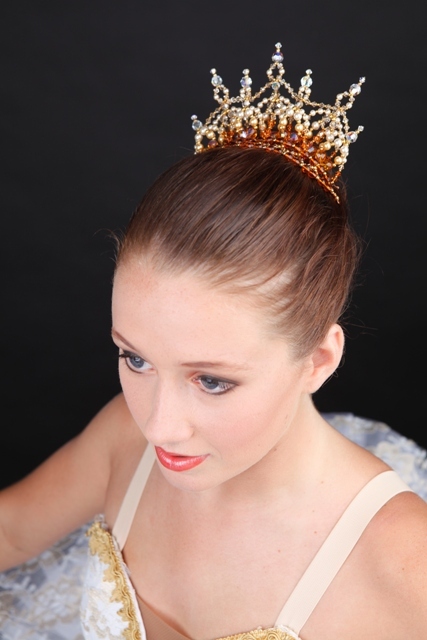 Tiaras 4 Dance strives to ensure that your headpieces reach their destination by your required timeframe. We do not take responsibility for delays caused by postage carriers. · All care is taken to ensure that your headpiece reaches you in the best condition possible. All headpieces are wrapped in bubble wrap and placed in a shipment box. · Tiaras 4 Dance hopes that you will be absolutely delighted with the product that you have purchased. We aim to bring our customers the best in design, quality and service and if you are not absolutely happy we offer a full money back guarantee on all purchases Returns will not be accepted after 10 working days from receipt. · We are happy to exchange goods within 10 days of receipt. Tiaras 4 Dance will not cover the shipping charges incurred by your return unless the produce is found to be faulty. · For exchange items, you are required to include your name, trading name, telephone number, delivery address and reason for return. · Lost items will be replaced only once the Shipping Agent has finalized the search. Please contact Tiaras 4 Dance on 0413 615 264 (within Australia) or 61 413615264 (outside Australia) if you have not received your parcel within 2 – 3 days after receiving confirmation from us that it has been shipped. You can also use the Contact Us link on this website. Please quote your order number. · If you receive an incomplete or damaged consignment, please contact Tiaras 4 Dance on 0413 615 264 (within Australia) or 61 413615264 (outside Australia) immediately upon receipt. · All customer information stored by Tiaras 4 Dance is used for internal purposes only. We do not distribute or sell your personal details to any third party. Demographic data is stored on site in a secure and encrypted database. · We do not store any financial information. All financial details are deleted automatically once the transfer of funds is complete. · The mailing list is used solely to inform our customers of new designs, special offers, discounts, payment receipts and shipments. If you wish to unsubscribe from our mailing list, please log into your account and modify your newsletter subscriptions. All contents copyright 2009. All rights reserved. No part of this web site or the related files, designs and photography may be reproduced or transmitted in any form, by any means (electronic, photocopying, recording, or otherwise) without the prior written permission of Tiaras4dance.com.au.